Those of you who’ve attended my Willow Animal Sculpture Days over the past 5 years know that I strongly believe that one of the ways to get more of us interested in basket making and this amazing craft form is to ignite our passion for playing with willow. My aim during all of my teaching has always been to inspire, enthuse, and teach willow sculpting methods. Having myself fallen in love with basket making about 5 years ago, it soon became obvious to me to develop sculptural basket workshops with techniques that could be taught to absolute beginners. 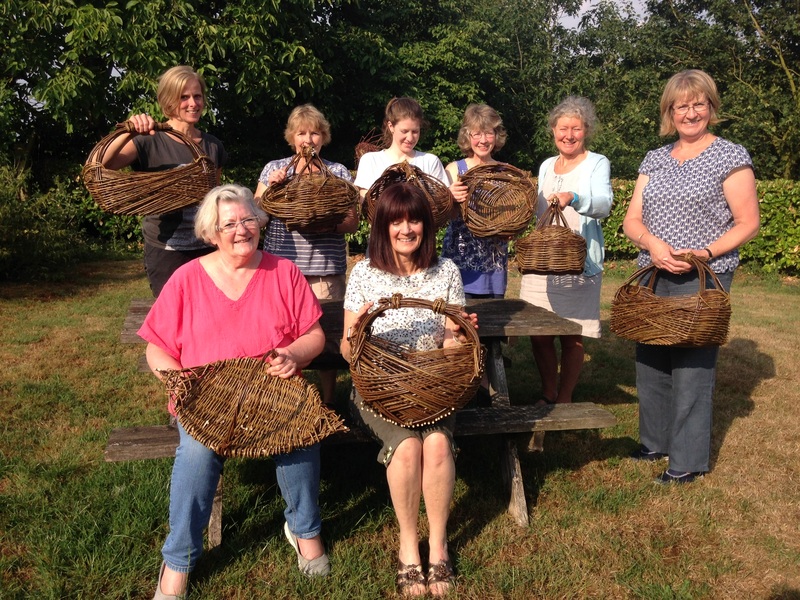 As I began to learn how to make baskets I often felt that ‘one dodgy move with a willow rod and the basket would be ruined’. Although this really isn’t necessarily the case, (though the discipline, repetition and honing of techniques is necessary to becoming a decent basket maker). 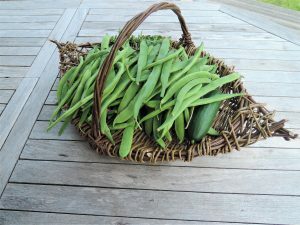 I realised that I wanted to take the pressure out of everyone’s early basket making ventures and our often imagined need for perfection every time. The resulting Willow Basket Sculpture Days that I teach are an exploration into making a basket, one in which we can adapt and play with form, elements and techniques. At these particular sculpture days participants can choose between making a lovely large sculptural basket using free weaving techniques, create a decent sized basket using my newly developed take on a stake and strand method or create the increasingly popular Zarzo basket. Complementing my general Willow Basket Sculpture Day, I also developed two new unique willow sculpture days that combine my love of basketry techniques with a sculptural twist. Since January 2018 I have been regularly teaching how to create a large Willow Flower Lantern and also a Willow Herb Bird Basket Workshop. Both the Flower Lantern and Herb Bird Basket have been developed entirely by myself and I have as much as possible introduced a range of basketry techniques and weaves. So far all three of my new basket technique led sculpture days have been well received with them almost always being fully booked. I’m pleased that my instinct has been right in that many of those who’ve attended my Willow Animal Sculpture Days or who have learnt how to make willow animals with other tutors have got the ‘willow bug’ and returned to be taught by me how to make a sculptural basket. But what about myself? I’m aiming to become the best basket maker and teacher that I can possibly be. I’ll be doing this through years, (indeed a life time!) of my learning the knowledge, techniques and skills from amazing crafts men and women. I want to learn as much as I can about tradition English basket making techniques. I want to create and take traditional baskets into the future by giving them new functions and/or sculptural twists. I’m not claiming to be an amazing basket maker (yet! ), but I do know that my new Willow Basketry led Sculpture Days are the natural progression for me, enabling me to teach basket making techniques with my own unique style and enthusiasm. I hope that for you, making a sculptural basket in a day, handcrafting a beautiful and functional object will fill you with as much happiness as I get when I’m teaching you! ← I’m on holiday until the 27th August!